I actually wanted to write about Loglike before Christmas. 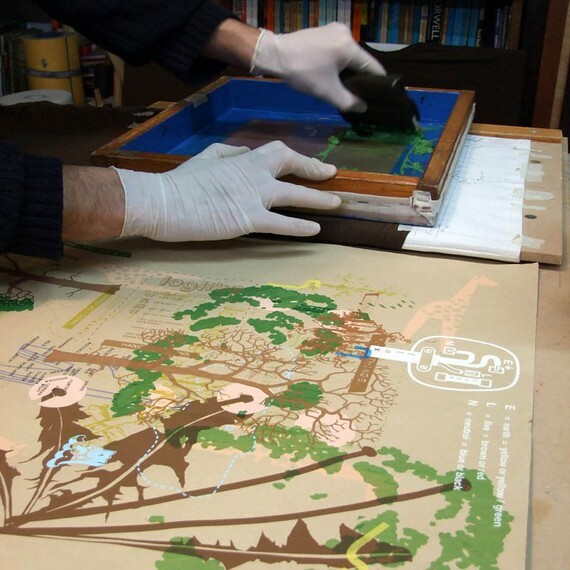 I bought one of my very best Christmas presents from them and I had fabulous speedy service. But I couldn't write about them without giving away the secret of the gift. But now? Oh yes. 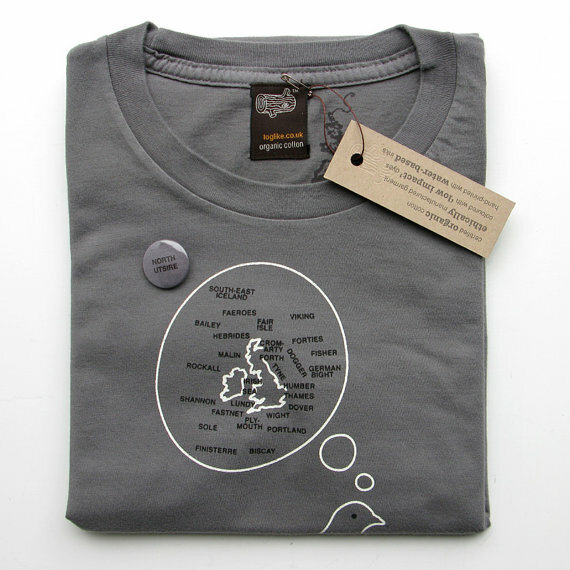 Now I can insist you all go and get yourself a pigeon shipping forecast tshirt. WITH A FREE BADGE! North Utsire could go on your hat if you fancied (and I do fancy). LogLike are one of the only companies I've seen on Etsy who show you photographs of their pieces being made, and I like them all the more for it. More badges! 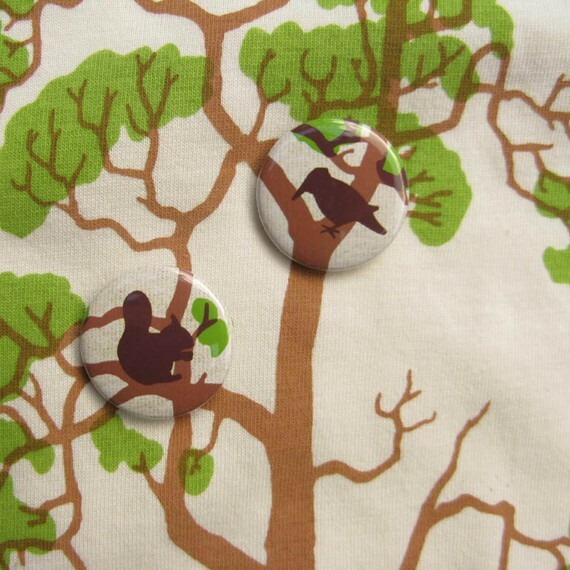 Actually, the t-shirt I bought came with extra badges One had a badger on it. A badger badge! It's such a little thing to get as a freebie, but I really like those little things. The t-shirts aren't cheap - at £27 they're one of the priciest I've bought. 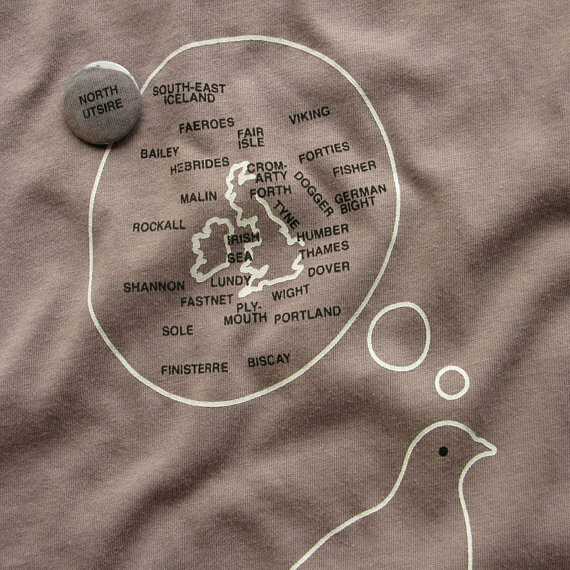 But they're heavy-duty organic cotton and hand printed (and hello, pigeon dreaming of the shipping forecast!) The £3.50 postage and packing seemed pricey as well, until my parcel turned up just a day and a half later, looking gorgeous, and so well wrapped that I didn't need to do anything more. 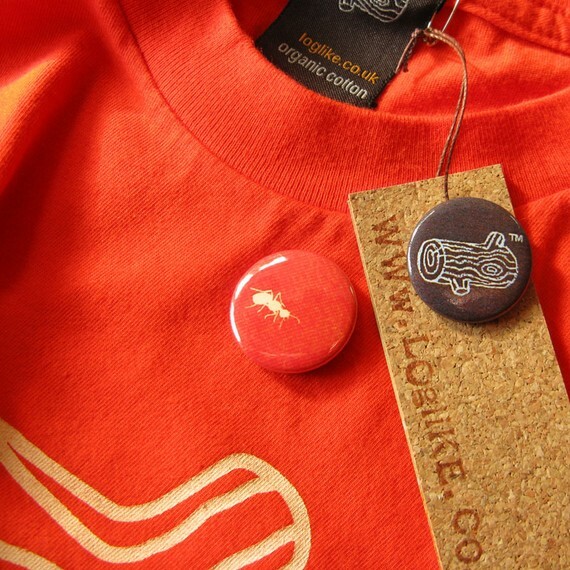 They're good folk over at Loglike, and they've got a really good selection in badges. Basically, if you give me good quality stuff, nicely wrapped and throw in a free badge and you've got my custom for life.